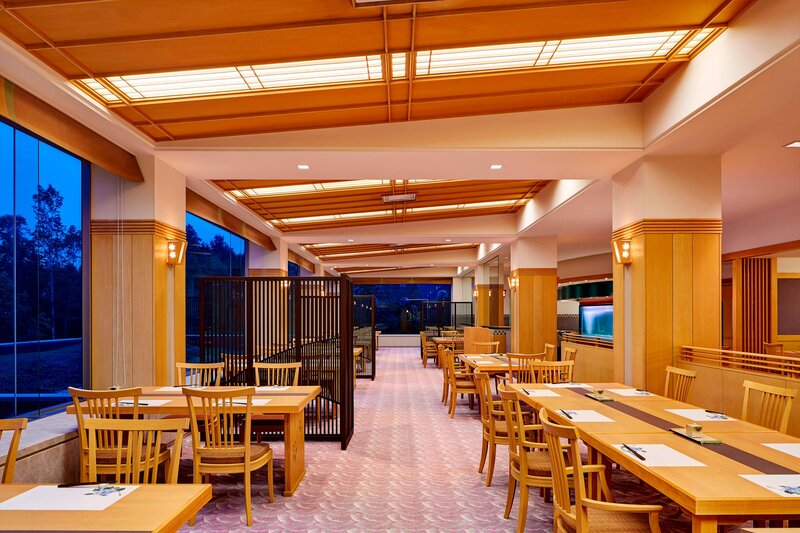 Here at the Westin Rusutsu Resort we offer two amazing and distinct dining options for you to enjoy when you stay with us. You can enjoy locally sourced ingredients such as fresh vegetables and seafood. We offer 24 hour room service for our resort guests. Find a wide variety of choices on the menu in your room. Our signature restaurant, Kazahana, treats diners the delicate flavors of authentic Japanese cuisine for breakfast and dinner. 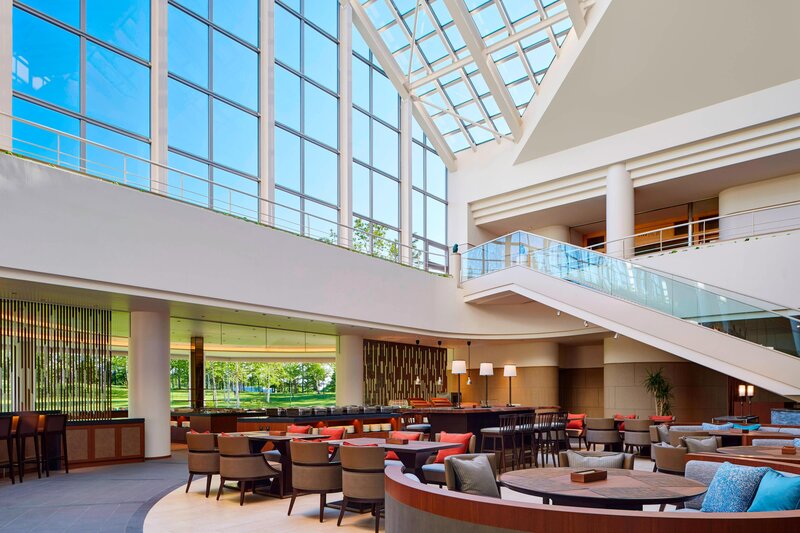 Enjoy astonishing panoramic views and a global buffet at Atrium, our all-day dining restaurant. An à la carte menu featuring locally sourced ingredients is available for lunch and dinner. We offer your masterfully crafted cocktails from a selection of Hokkaido ingredients fused into a unique combination of flavors. Why not reserve a seat at the Teppanyaki counter to witness the true skill of a chef preparing the finest local provenance. Taste the difference in the distinctive flavours, and enjoy viewing the chef&apos;s refined techniques. The is a cozy restaurant that is well known for its whisky. This Japanese pub serves a variety of seafood and meat dishes. Enjoy French cuisine in this elegant restaurant. Eat to your heart&apos;s content at the Hokkaido Buffet Oktober Fest. This restaurant serves Italian dishes with a bit of a Japanese influence.